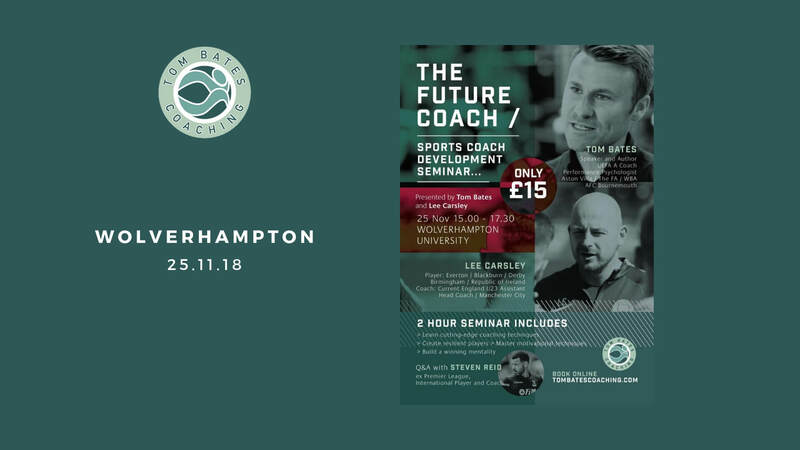 Become a better coach in 2 hours – Tickets are now on sale for the next The Future Coach Sports Coach Development Seminar at Wolverhampton University on Sunday 25 November 2018. Tom will be joined by Lee Carsley and Steven Reid will have a Q and A session. Visit our Future Coach Event page for more details about the seminar and how you can become a better coach.